Does Your Horse Suffer from Girth Rash? Acute girth rash happens when a horse sweats, and the girth, or other tack, irritates the skin. This usually occurs behind the elbow. Gently rub the area with your fingers. If you feel that the skin is thickened, your horse probably has girth rash. He might pin his ears, or move away. Girth rash is uncomfortable for the horse, and if actual sores forms, can be quite painful. Equinell™ applied to the affected area, can work wonders to improve your horse’s comfort. 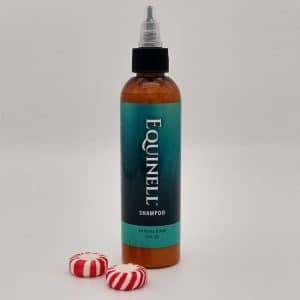 For a large skin area that has become irritated by tack rubbing, use Equinell™ Shampoo. However, for scars and lesions, we suggest Equinell™ Hoof and Mane Oil. I would recommend this product to… anyone who owns a horse with skin issues… This is an amazing product. Truly a gift to the horse world. 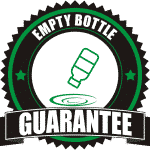 Give Equinel™ a try, and if you don’t agree that Equinell™ works way, WAY better than anything you’ve tried until now, just return the unused portion for a FULL, No-Hassle refund!